Do you want to invest in cryptocurrency but think you're too late to the party? Feeling a bit intimidated by the state of crypto market, and don't know where to start? Finding other books on crypto too deep and theoretical, or lengthy? Fear not, I'm here to help! 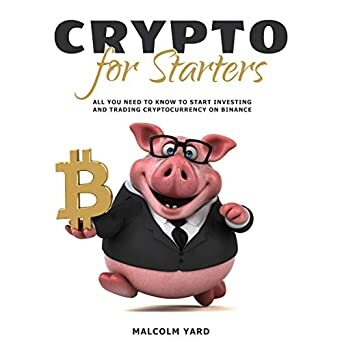 I'm Mal, and I've been successfully investing and trading cryptocurrency for the past few years, going through highs and lows of this market and gaining some valuable knowledge along the way that I think you could benefit from. While I've done my best to keep the information I'm sharing with you in this book as valuable and practical as possible, I'm not a qualified financial advisor, so please do not treat any of this as formal financial advice. State of the game: What have you missed? Basic functionality of Binance - the "How-to's"
As this is the first book of my planned series of books on cryptocurrency investments and trading, your review, rating, and feedback would be most appreciated if you find this book valuable to you. Thank you.